Free WiFi coming to downtown North Bay? Computer Specialist Sheldon Forgette speaks to the media about a Free WiFi project. PHOTO BY CHRIS DAWSON. A local computer company is looking to expand free WiFi service into North Bay’s downtown core. Computer Specialist Sheldon Forgette speaks to the media about a Free WiFi project. PHOTO BY CHRIS DAWSON. A local computer company is looking to expand free WiFi service into North Bay’s downtown core. North Bay Computer Doctors stated they will be investing close to $20,000 in equipment to help connect WiFi service throughout an area of downtown. 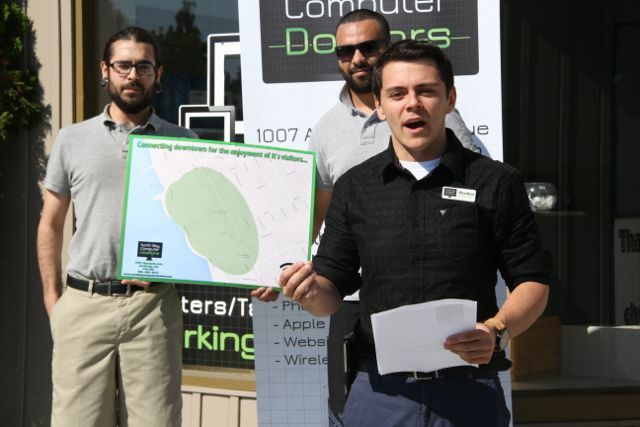 Computer Specialist Sheldon Forgette made the announcement in front of their Algonquin Avenue location this morning. Forgette says the goal now will be to create partnerships with downtown businesses who want free WiFi in their location, with the only cost being the electricity needed to keep the repeater operational. “Basically in order to do it we need to make a daisy chain of WiFi networks so we need to connect the dots just like a train and those property owners would want us to have them install a WiFi repeater in their building,” said Forgette. Forgette says once those business partnerships downtown are created, then they will start implementing the Free WiFi program. 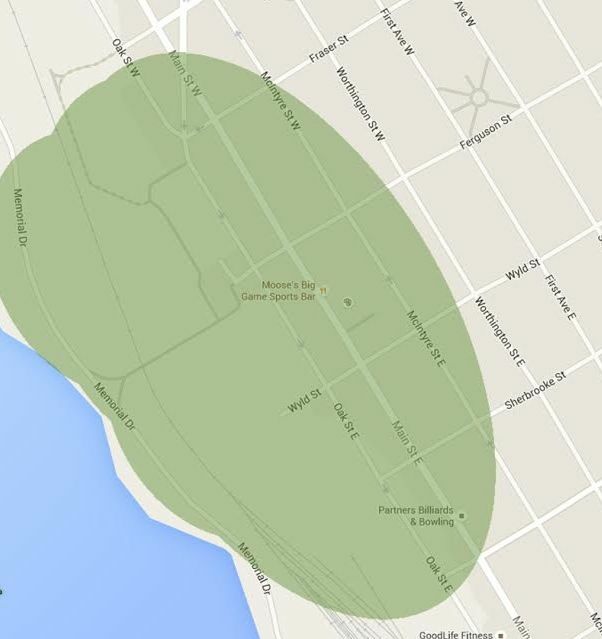 Here's the projected WiFi zone North Bay Computer Doctors is hoping to develop. Photo submitted.